he Karpass Peninsula (Greek: ?a?pas?a; Turkish: Karpaz), also known as the Karpas Peninsula or Karpasia, is a long, finger-like peninsula that is one of the most prominent geographical features of the island of Cyprus. Its farthest extent is Cape Apostolos Andreas, and its major population centre is the town of Rizokarpaso (Greek: ???????pas? ; Turkish: Dipkarpaz). De facto, the peninsula forms the Iskele District of Northern Cyprus, while de jure it lay in the Famagusta District of the Republic of Cyprus. 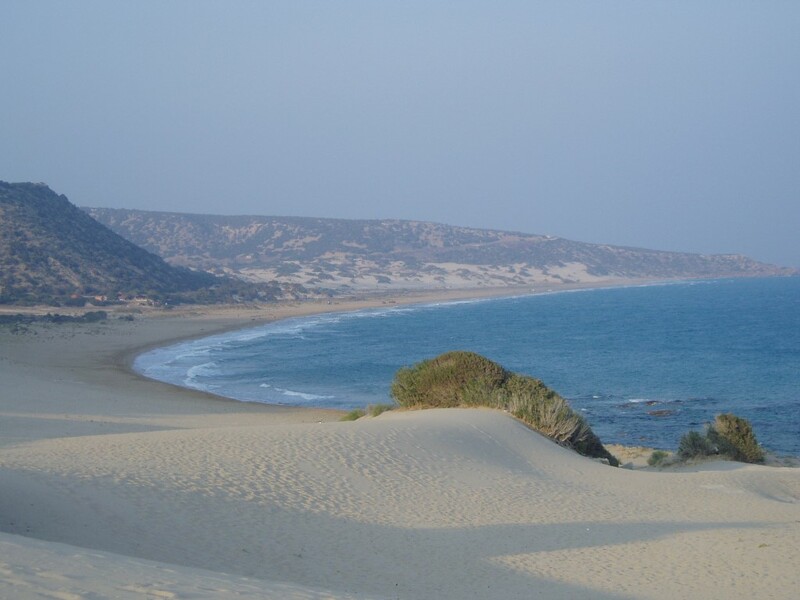 It covers an area of 898 km2, making up 27 % of the territory of Northern Cyprus. It is much less densely populated than the average of Northern Cyprus, with a population density of 26 people per km2 in 2010. The town of Trikomo/Iskele, the district capital, is considered to be the "gateway" and the geographical starting point of the peninsula, along with the neighboring village of Bogaz. Apart from Trikomo, the most important towns and municipalities in the area are Yialousa, Galateia, Rizokarpaso, Komi Kebir and Akanthou. The peninsula hosts a number of historical sites. 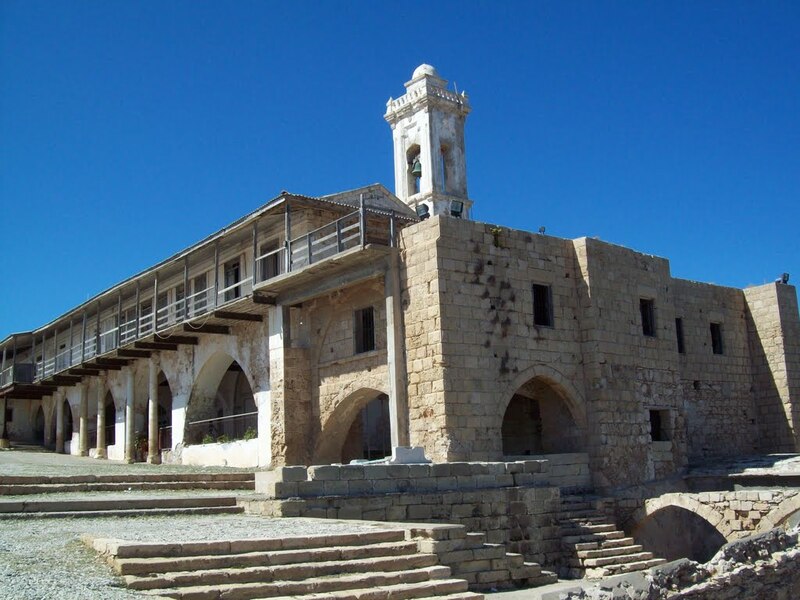 These include the Kantara Castle, Apostolos Andreas Monastery, ruins of the ancient cities of Karpasia and Aphendrika, Ayias Trias Basilica among numerous others. 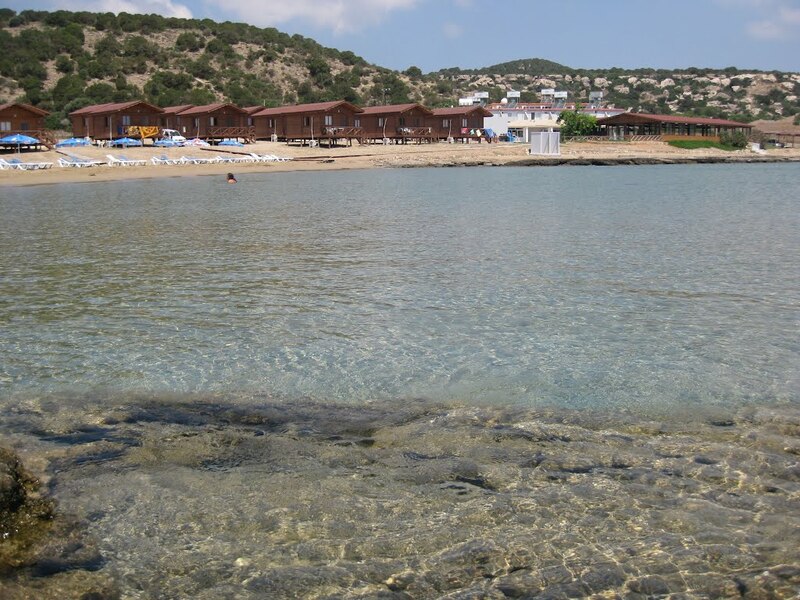 There are more than 46 sandy beaches in the peninsula, which are the primary Eastern Mediterranean nestling grounds for the loggerhead (Caretta caretta) and green sea turtles (Chelonia mydas). 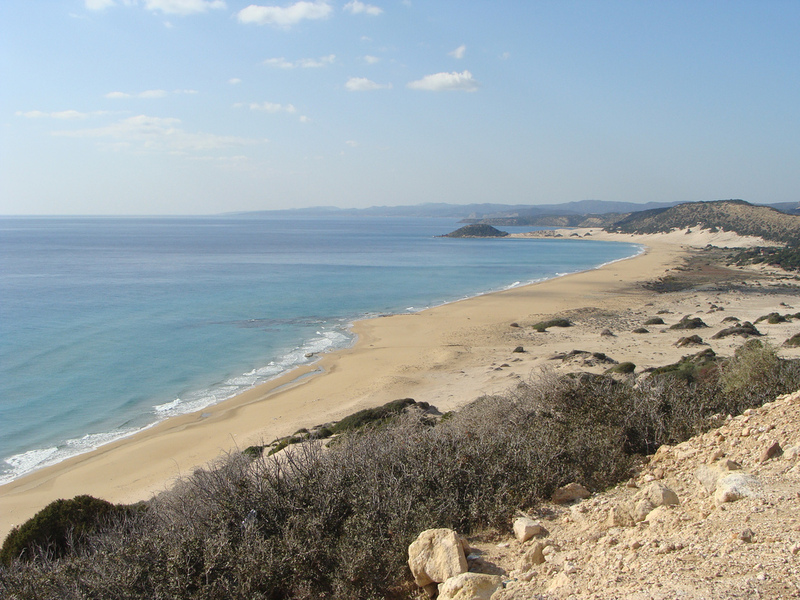 The Golden Beach, also known traditionally in Greek-Cypriot as 'Pashi-Amos' (Fat Sand beach), or Nangomi Beach, is situated around 15 km from the town of Rizokarpaso and is considered one of the finest and most remote beaches of Cyprus. With a total length exceeding 3700 m, it is one of the least tourist-frequented beaches in the island. 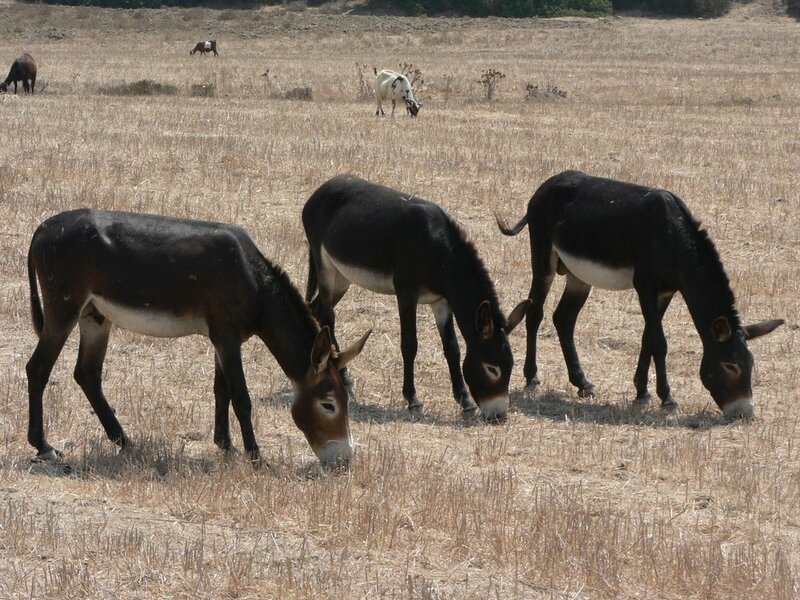 The Karpass Peninsula is home to the Karpass donkey, known as a symbol of Cyprus; there are campaigns carried out jointly by Turkish and Greek Cypriots to conserve the rare donkeys of Karpass. Most of the activities in the Karpass Peninsula are related to agriculture, fishing, hunting, and some to micro-tourism. Local farmers take advantage of this natural environment to grow different fruits and vegetables mostly as sub-subsistence farming (although for local commerce too). The region is mostly known for its "Karpuz" (Turkish for "Watermelon"). Several tourist businesses can be found in the town of Rizokarpaso. These are generally restaurants serving traditional Turkish-Cypriot Cuisine, including "Mezze". Due to its geographical position, the Karpass Peninsula is somewhat protected from human interference. This makes it a pristine natural environment, home to many inland and marine species. When hunting season starts, the Karpass forests are a popular location to go hunting for "Keklik" (Famous Grousse). Meanwhile, the coastal region, with its clear waters, moderate Northern currents, and rocky bottom with cave-like structures, is home to two of the most highly valued fish species: Orfoz (Dusky Grouper) and Lahos (Broomtail Grouper). The price/kg of each species ranges from 35-80 Turkish Lira, depending on the location and the season. However, fishing rates in the Karpass Region and most of North Cyprus dramatically decreased last Century because of the use of dynamite. This is why the "Zafer Burunu" (the end-nose of the peninsula) is now a protected, natural heritage area, where marine species are slowly recovering to healthy population parameters.